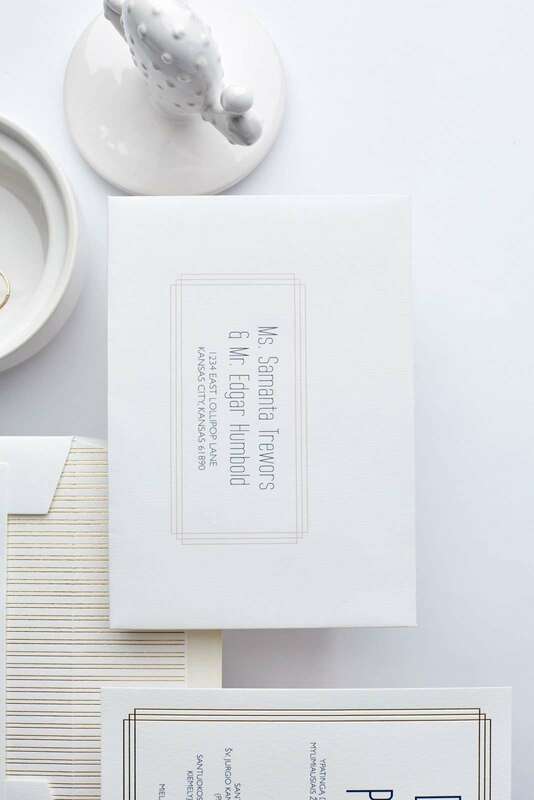 These modern luxury wedding invitations are printed on pure cotton paper with gold foil and perfectly fits not only for traditional wedding but also for festive feasts, anniversary parties or any formal occasions. 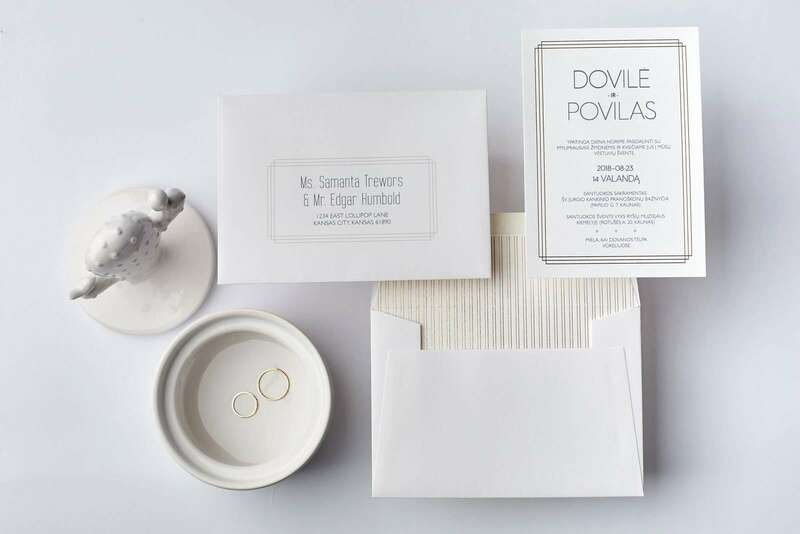 Invitations design is created using modern fonts and minimal frame, that can be printed with golden, silver or cooper foil. 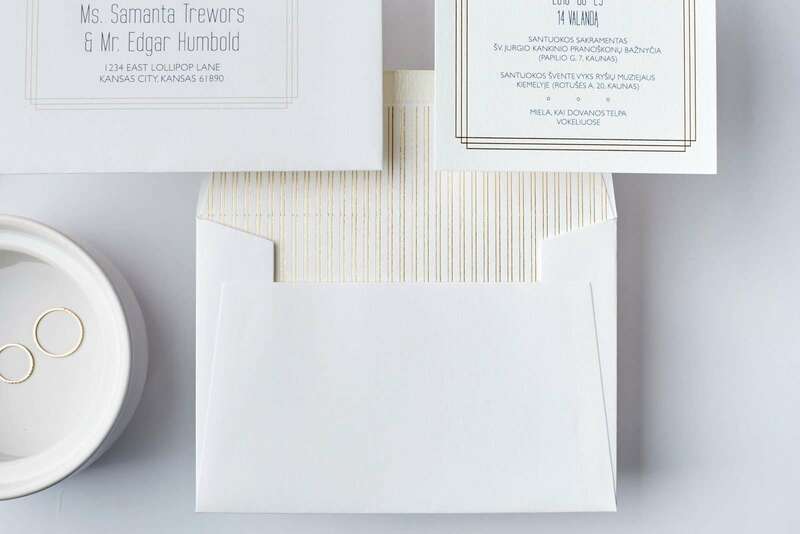 Invitation envelopes are made from premium white paper, with stunning, gold foil printed lining inside. Delivery addresses on envelopes are printed digitally. 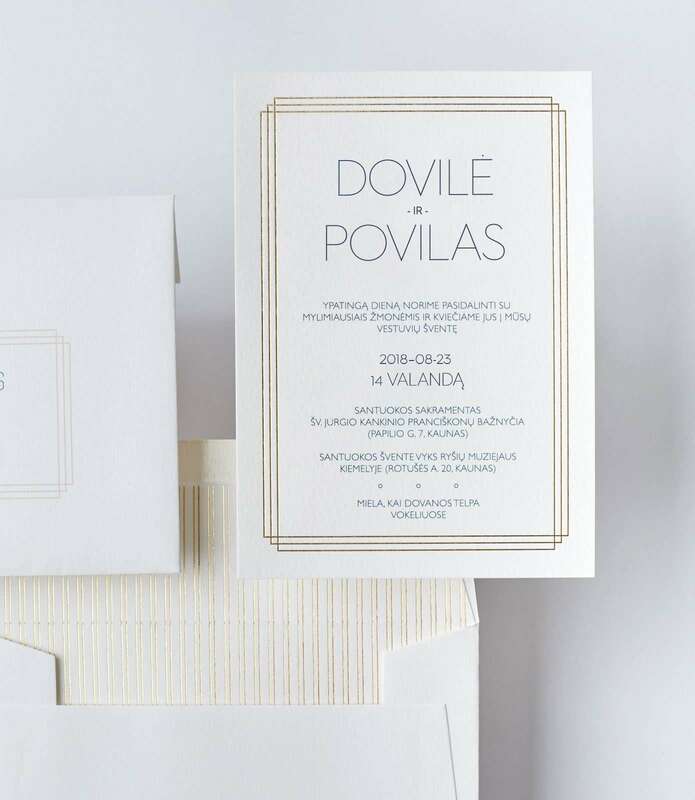 This great design can be easily addapted with any color combination that requires your event. 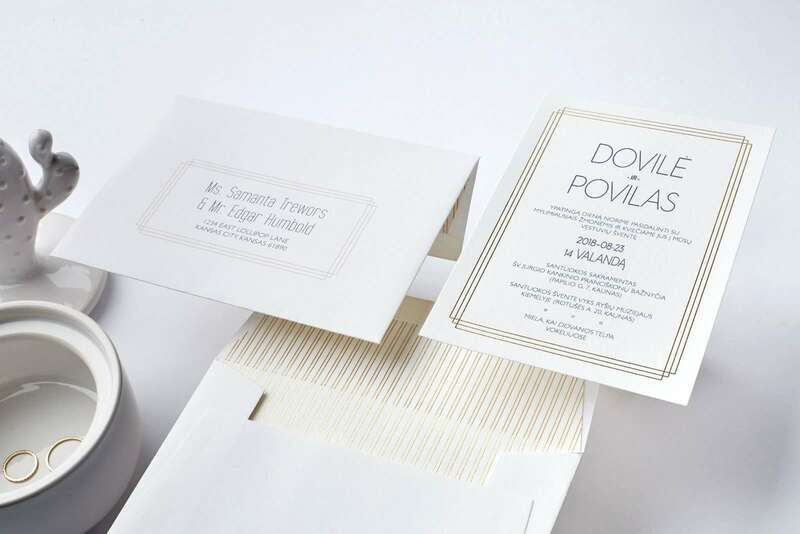 If you would like to feel and touch our nice cotton papers and check printing quality, your can order sample here: “Vestuvių kvietimai” website.